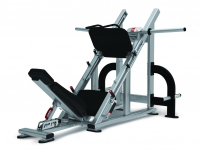 Nautilus® Leverage Chest Press offers a one of a kind plate loaded experience with features that outshine the competition. 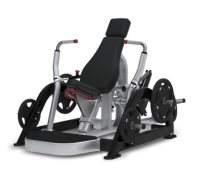 Nautilus® Leverage Incline Press Machine offers a one of a kind plate loaded experience with features that outshine the competition. Nautilus Leverage offers a one of a kind plate loaded experience with features that outshine the competition. 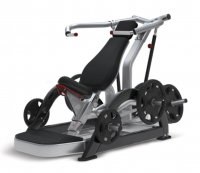 Nautilus® Leverage Low Row offers a one of a kind plate loaded experience with features that outshine the competition. 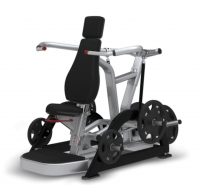 The Nautilus® Plate Loaded Angled Leg Press follow Nautilus's trademark combination of safety and function. Nautilus® Leverage Decline Press Machine offers a one of a kind plate loaded experience with features that outshine the competition. 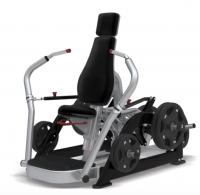 Nautilus® Leverage High Row offers a one of a kind plate loaded experience with features that outshine the competition. 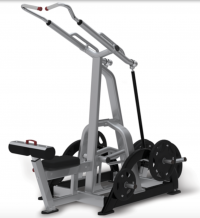 Nautilus® Leverage Biceps Curl offers a one of a kind plate loaded experience with features that outshine the competition. 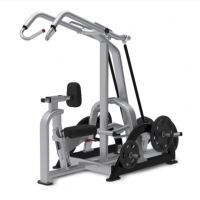 Nautilus® Leverage Shoulder Press offers a one of a kind plate loaded experience with features that outshine the competition. The adjustable foot support adjusts both vertical and horizontal. 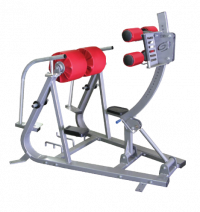 Horizontal position can be adjusted with foot while on the machine. Vertical adjustment is in a curved path to match the legs swing of the user. Easy entry and can be used as a reverse hyper.